The Creeper has always longed to celebrate Halloween, because it's the only time of year where a monster wearing human clothing doesn't look out of place. But the problem is, the evil forces that control him only let him come out every 23rd spring, and for just 23 days at a time. At that time of year, his "human costume" fails quickly, and the people he wants to eat end up getting away. Luckily, there's a way you can help the poor guy out -- and that's by becoming him. 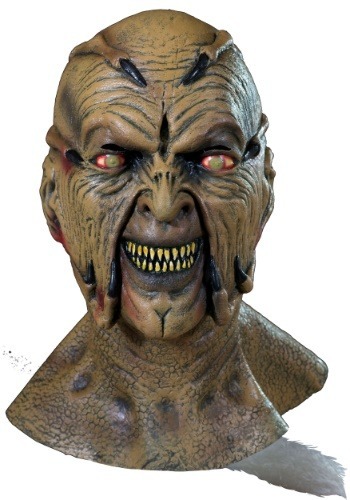 With this Jeepers Creepers Mask, a powerful and ancient evil will live through you and enjoy Halloween at last! Of course, as the monster from Jeepers Creepers, you'll get to do all of that while also terrifying your friends and any trick-or-treaters unlucky enough to show up. 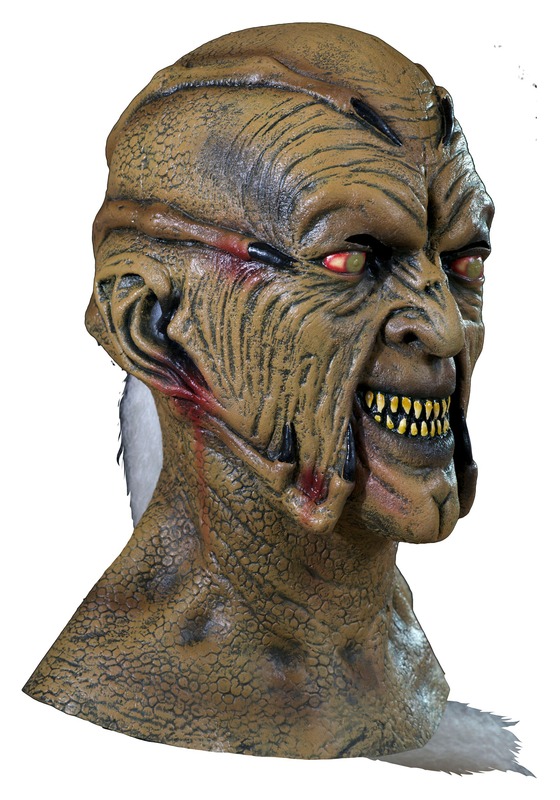 Just pair this awesome and officially licensed mask with a tattered old coat and a wide-brimmed hat, and you will become the Creeper!